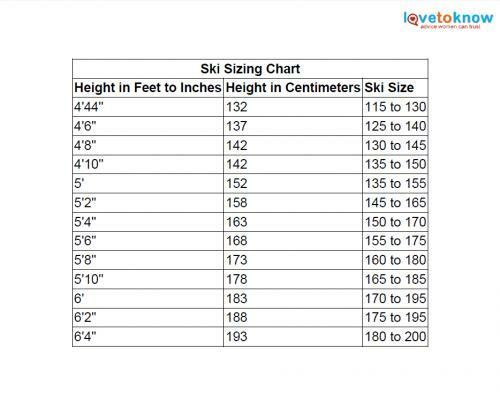 A ski size chart is a necessary resource for anyone heading out to the slopes. Properly sized skis will protect you from falling and keep you comfortable. Also, keep in mind that children grow quickly. From one season to the next, you may need to adjust their sizing for a better fit. 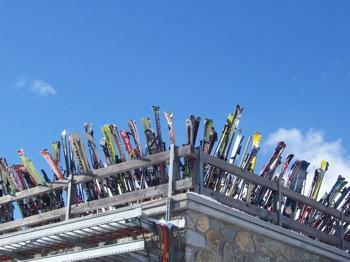 Most ski shops will give you some guidance on selecting the right skis if you are unsure. If you plan to purchase your skis from a local retailer, you will likely find a ski size chart to use at that facility. Most of the online providers also provide these charts to allow you to successfully choose the right skis for your particular needs. The following chart is a basic guide, feel free to view it online, download to your computer or print it out. If you need help downloading the printable, check out these helpful tips. If you are still unsure about the size your skis should be, try a few out. Depending on your overall ski style and the type of comfort you like on the slopes, you will be able to adjust the sizing better to fit your needs. Some ski professionals recommend not purchasing skis until you have reached an intermediate level in skiing. The benefit of doing this is it allows you to try out different ski sizes to find the one that is most comfortable for you. Also, it keeps you from having to invest in skis if you really do not plan to continue in the sport.